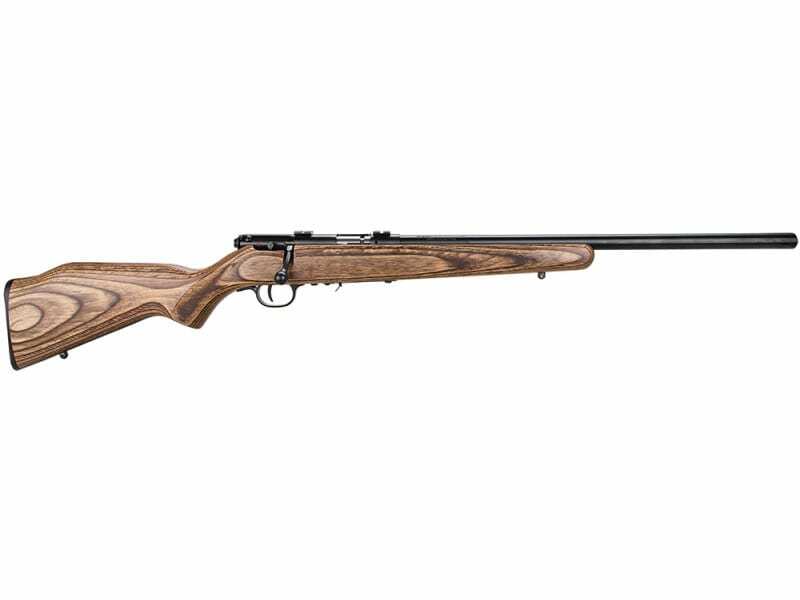 The 93R17 BV bolt action rifles helps heighten the fun of rimfire shooting while maintaining Savage standards of meticulous crafting with the balance of modern, high-tech methods and old-world hand craftsmanship. It has a built-in adjustability AccuTrigger that provides a crisp, clean trigger pull, which enhances accuracy. This model features a carbon steel heavy varmint barrel, a detachable box magazine, and a wood-grained laminate stock with cut checkering and a Monte Carlo-style comb.